Bruker AXS, Chemistry Dept. of HCMUS and MANAR Centre jointly organize a workshop in conjunction with the celebration of IYCr2014 International Year of Crystallography 2014. 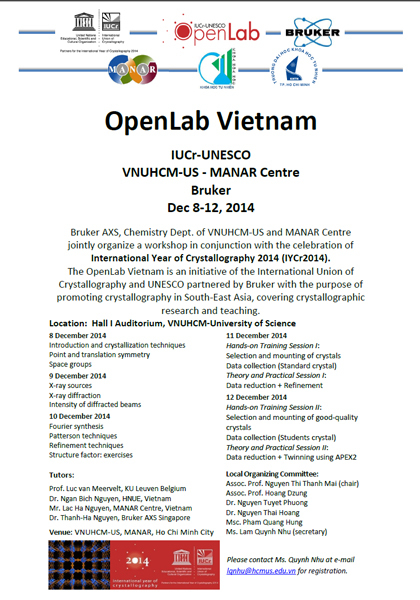 The OpenLab Vietnam is an initiative of the International Union of Crystallography and UNESCO partnered by Bruker with the purpose of promoting crystallography in South-East Asia, covering crystallographic research and teaching.